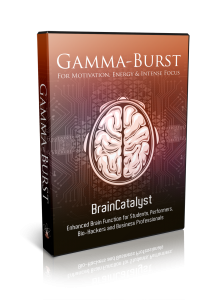 Hello and welcome to this article where I look into the Gamma brainwave state and how to access the many gamma binaural beats benefits quickly and relatively easily. Out of the five recognised brainwave states (Gamma, Beta, Alpha, Theta and Delta) Gamma is the most mysterious and perhaps the least generally understood. They are very fast brainwave patterns and are considered to be 40Hz and above. Gamma waves have received the least attention but this is changing as scientists realise the amount of gamma waves we experience can affect our minds and how gamma waves can help with awareness, understanding and consciousness. 1.1 What are brainwaves and brainwave states? 1.2 So how can knowledge of brainwave states help us? 1.3 What is Gamma and what does it do for us? 1.4 Who can benefit from spending more time in a Gamma state? 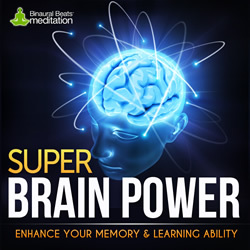 1.5 What are Binaural Beats and Brainwave Entrainment? 1.6 How can we get into Gamma? What are brainwaves and brainwave states? It is generally understood that a human brain is a very complex organism. It comprises many billions of cells known as neurons and these neurons are constantly talking to each other and creating new connections. These many communications result in emissions of electrical signals between the cells whenever a message is sent by, or received to, a neuron. When your brain is active, many millions of these neurons will communicate at the same time and this activity can generate enough electrical activity to be recorded by a sensitive recording device known as an EEG machine. The cyclical patterns of these electrical signals appear as a wave and have become known as brainwaves. A brainwave frequency is measured in the number of times it cycles per second or hertz (Hz). So how can knowledge of brainwave states help us? Knowledge of brainwaves is interesting but how can it help us? The point to realise is that our state of mind depends on the state of our brainwave activity. And our state of mind dictates how we perceive our world and make the most out of it. We know that when we are in a particular brain wave state, we can confidently predict our emotional state. Depending on our particular state we may be super intuitive and empathetic (gamma brainwaves), focused and ready for learning (beta brainwaves), relaxed and receptive (alpha brainwaves), lightly sleeping (theta brainwaves) or in deep relaxation and sleep (delta brainwaves) . Our aim should be to deliberately put ourselves into resourceful brain states as often as we can. If we do this we can use our minds to improve our lives enormously. Check out my article on the different brainwaves here if you want to find out more. What is Gamma and what does it do for us? Gamma brain waves are brain activity of a frequency between 25Hz to 100Hz with an average of 40hz being considered the norm. Before the development of digital EEG recorders in the mid 1960s Gamma was not discovered as analog electroencephalography was unable to measure brainwaves above about 25Hz. But now the benefits of having your brain produce gamma frequencies are starting to be appreciated. Neuroscientists think that the gamma state is able to link information from all parts of the brain and that the whole brain experiences and is influenced by the gamma wave. Gamma waves are the highest frequency waves and can improve our feelings of satisfaction, happiness and empathy and compassion with others. Gamma is thought to allow us greater cognitive functioning, along with memory retention, data processing and ability to focus clearly. Being in gamma gives us the ability to process large amounts of information quickly and often gives us flashes of insight and intuition. High gamma production can make us use our IQ and feel in the zone. Experiencing more gamma brainwaves can upgrade the capability of your brain! Conversely, low amounts of gamma production can point to possible poor mental health, learning difficulties, low memory capacity and reduced mental processing. Who can benefit from spending more time in a Gamma state? A list of some of the benefits of gamma brainwaves are really impressive! Improve your powers of memory, with vivid recall capacity. Become better able to recall past experiences including names of people you met, music you heard and conversations you had. Access all parts of your brain for higher levels of intelligence. Heighten levels of mental alertness, brain functioning and mental processing. Increase your perception of all five senses -sight, sound, smell, taste, touch. Greater ability to focus on both individual tasks and all sensory information as a whole. Process large amounts of information at once and make sense of it all. Can result in bursts of gamma leading to moments of insight and inspiration – Eureka moments! People who naturally have high levels of gamma activity have been to found to be very intelligent, compassionate and happy. They have great memories and exercise strong self control. 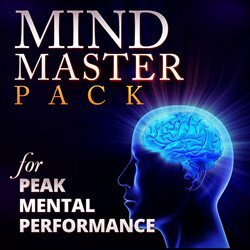 High brain activity in gamma puts us in a state of peak performance. High achievers in most fields but such as top athletes and musicians will usually generate far more gamma waves than average. The converse is also true, in that people who suffer from depression often display low gamma activity. In short, the vast majority of people can benefit from more gamma activity! Who doesn’t want to perform better at their job or vocation? And at the same time you feel happier and more in connection with other people. You are experiencing difficulty remembering things such as dates, names or events from the past. It makes absolute sense, then, that we should all be trying to increase our gamma activity. But how can we do that? This is where binaural beats help. 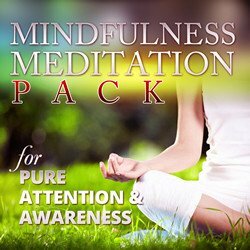 What are Binaural Beats and Brainwave Entrainment? 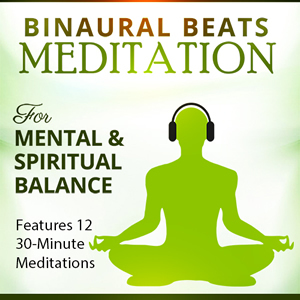 Binaural beats have become the generic term for a phenomenon called brainwave entrainment. In reality, binaural beats are one technique to create brainwave entrainment audios but the two have become intertwined in people’s language. I have written an extensive explanation, What are Binaural Beats ?, but if you haven’t time to read it now, here is a brief summary. If you strike a tuning fork and then hold another one close to it, the second will start to vibrate at exactly the same frequency. It is known as Frequency Following Response and is also known as entrainment. Your brain does the same thing and if you expose it to a frequency, it will follow that frequency. As we know from earlier, the frequency of your brainwaves dictates your state of mind so exposure to a 10Hz frequency will lead you to feel relaxed and calm. But the human ear generally can’t hear below 20Hz so how can we listen to frequencies that will benefit us? By using binaural beats. Actually discovered in 1839 – over 170 years ago! 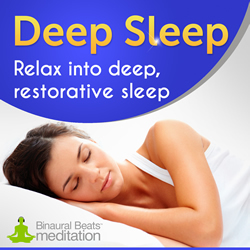 – binaural beat are a way to get our brain into a particular state by listening to an audio file. That file plays a tone in one ear of, say 200Hz, and a different tone in the other ear of 210Hz. The brain then ‘hears’ a third tone of the difference between the two ie 10Hz which leads the brain to a frequency that will result in a feeling of relaxation. From that description it should be clear that for the technique to work you must listen with headphones suitable for binaural beats which must not add bass or other effects to the basic audio file. Another form of entrainment known as isochronic tones were first dicovered about 1981 as digital technology developed and improved. They are computer generated fast pulses that gently entrain the brain and are the most potent entrainment method. The tones are precise and allow a specific Hz to be heard. The same tone goes into each ear so headphones are not mandatory but your experience will be greater if you still use them with isochronic tones as you will hear the tones better and background distractions are minimised. How can we get into Gamma? We all have gamma brainwave activity sometimes as it is a completely natural state but the amounts of gamma waves we produce varies. Nevertheless, we now know the fabulous benefits of gamma so we should all be trying to experience more of it to help with our success and to achieve our goals. If you want to take advantage of all the gamma binaural beats benefits this audio comes from a quality producer with a history of excellent products. The audio is targeted primarily at people who may be experiencing memory loss. This is a big group as, surprisingly, cognitive facility and memory can begin to decline from as young as 30. 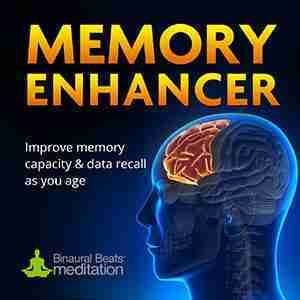 Memory enhancer aims to improve memory by using 40Hz gamma waves to expoit the known relationship between improvement of long term memory and gamma brainwave activity. It has a background of gentle flute music, ambient textures and soothing piano trickles and comes in a 30 minute and a 60 minute audio. Whilst doing research for this article I came across this product from quality program producer iAwake that is ideal if all you want to experience is more Gamma. In fact, I was so impressed with the product specification and description, I picked up a copy for myself and will review it fully at a later date. Gamma Burst is a 60 minute audio split into 3 x 20 minute chunks, making it quite easy to find the time to listen to each chunk. The first ramps up to 35Hz, where Gamma just starts. The second ramps up to 55Hz and the third all the way to 75Hz. The audios use an advanced range of proprietary and innovative entrainment signals backed by a soundtrack of gentle ocean waves. They can be used while you are working or studying or as a meditation with your eyes closed. You will get much better results if you listen to any type of entrainment with your eyes closed and just focus on the sounds. Listening this way reduces distraction and puts more of your attention on the entrainment to get a better result. with NO volume! They say that due to the powerful biofield entrainment technology used, your body and biofield will register and benefit from the audio even if there is no volume! This is the first time I have heard of no volume entrainment but I’m willing to suspend my disbelief and give it a try. Finally, I would comment on the great support offered by iAwake, through responsive support emails, an active Facebook forum and live weekly coaching calls. If you need any help with it at all, you’ll certainly find it. Binaural beats and brainwave entrainment can help you spend more time in gamma, and the two products mentioned should help. 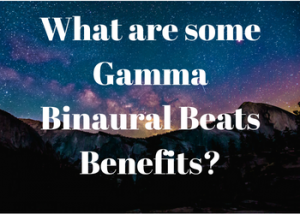 I hope you enjoyed my article on gamma binaural beats benefits. Please feel free to leave a comment or post a like or comment on the Facebook page.